I've been doing too much spinning. actually, I've been doing a number of things I can't talk about quite yet, so I'm showing off spinning. 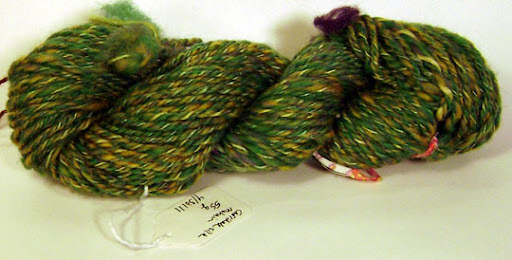 Silk is from lone tree wools, the blend I got at the Spinner's Flock guild sale last September. The drum carded merino was blended by me, the rest came from the Black Sheep Guild spring sale. My plans for the weekend are knitting (with handspun! at last! ), finishing up my stitched shibori pieces, and predrafting some dark teal silk.